Great news for Muhammad Ali fans! 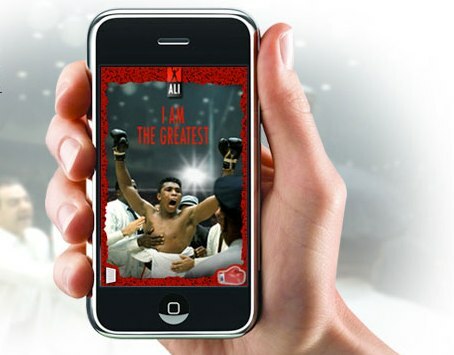 The California limited liability company, MAE (Muhammad Ali Enterprises LLC) has announced the availability of the new easy-to-use and interactive iPhone and iTouch application – Ali’s Greatest Jabs, which allows the boxing fans to view exclusive animated photos and hear famous audio quotes directly from Muhammad Ali’s mouth. “With Ali’s Greatest Jabs on the iPhone and iTouch, we’re giving fans of The Greatest of All Time a way to take his classic wit, wisdom, and inspiration with them anywhere, while experiencing Muhammad Ali in a new and interactive way,” commented Keith Wortman, President of MGX Lab, the agency that developed the app. The new Ali’s Greatest Jabs application is now available through iTunes App Store for $0.99.